From wood to coal to oil and gas, the sources of energy on which civilization depends have always changed as technology advances. Now renewables are overtaking fossil fuels, with wind and solar energy becoming cheaper and more competitive every year. Growth in renewable energy will further accelerate as electric vehicles become less expensive than traditional automobiles. Understanding the implications of the energy transition will prepare us for the many changes ahead. This book is a primer for readers of all levels on the coming energy transition and its global consequences. 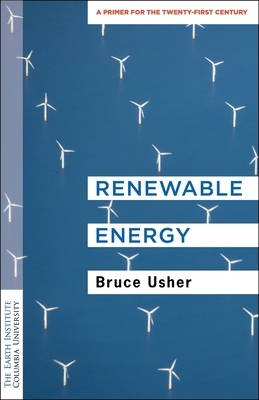 Bruce Usher provides a concise yet comprehensive explanation for the extraordinary growth in wind and solar energy; the trajectory of the transition from fossil fuels to renewables; and the implications for industries, countries, and the climate. Written in a straightforward style with easy-to-understand visual aids, the book illuminates the strengths and weaknesses of renewable energy based on business fundamentals and analysis of the economic forces that have given renewables a tailwind. Usher dissects the winners and losers, illustrating how governments and businesses with a far-sighted approach will reap long-term benefits while others will trail behind. Alongside the business and finance case for renewable energy, he provides a timely illustration of the threat of catastrophic climate change and the perils of delay. A short and powerful guide to our energy present and future, this book makes it clear that, from both economic and environmental perspectives, there is no time to lose. Bruce Usher is professor of professional practice and the Elizabeth B. Strickler '86 and Mark T. Gallogly '86 Faculty Director of the Tamer Center for Social Enterprise at the Columbia Business School, where he teaches on the intersection of financial, social, and environmental issues. He was previously an entrepreneur and worked in financial services in New York and Tokyo.